Designed to sit comfortably and to be worn with the Proximity Coverall and the Proximity overboots. 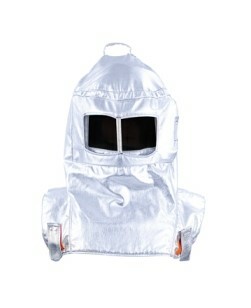 The Proximity Hood features an inner hard cap that complies with EN397. The gold colour outer visor together with the transparent inner visor allows for excellent lateral and vertical visibility. An allowance is also made for a face mask and dispenser. Dear friend, I suggest you this article: PROXIMITY HOOD ; You can find it on the web at: https://www.castbolzonella.it/scheda.asp?content=.